The "Clean Shot" from Mongoose is designed to give you the BEST wrist protection and support! The Custom foam backing offers several supports in one. The foam is reversible to either make the "Clean Shot" a short or long version simply by sliding the foam off the neoprene sleeve and just turning it around. Best wrist device I ever had!!!!!!!!!! Best wrist device I ever wore. Believe me I have had them all from cobra to pro release and everything in between. I have them all in a drawer. This glove feels like you have nothing on its so comfortable and lightweight. You have the freedom to save a shot at the foul line if necessary. Not locked in to one release. You can't be locked in to anything to do modern release. People are telling me my release is really consistant. I used to use a Mongoose Lifter, but after going to the Clean Shot, I will never go back. It provides all of the support you need and is less restrictive. I probably should have gone with the L instead of the XL. I have big wrists, but teh XL has too much strap. That is the only thing I would change about it. It gives no support. Gave it away the day I tried it! I may as well not been wearing a brace. I don't want to slam it but... Who ever designed it probably wasn't a bowler. The original Mongoose is more like it. how do you know which size will be the proper fit? Hello! 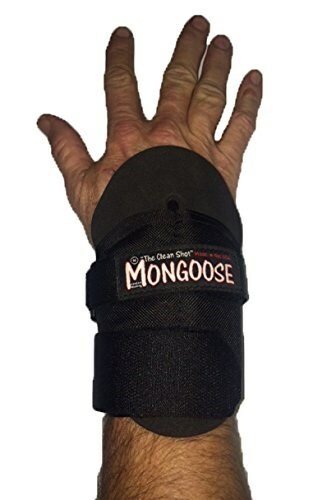 If you have any bowling gloves or wrist supports, I would recommend getting the same size in this item. I have a fairly large hand. I wear Large work gloves at work. A medium bowling glove fits pretty well. They are Velcro and adjustable, and while I don't want an excessively tight fit, I also do not want any excess baggage on my hand. if don't like the mongoose clean shot can I return no charge? Being left-handed, do I need to order a different product? Hello! 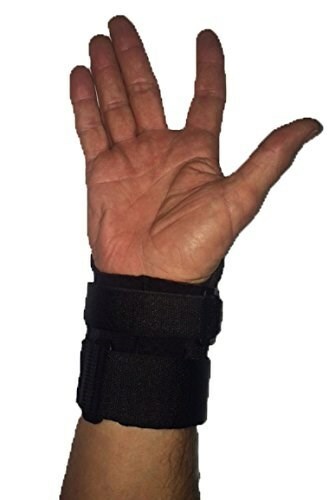 You can use this for either wrist. How do I order or get the plastic backing and will it keep me from breaking my wrist back if I get the plastic backing? Hi Rand! The plastic backing will come with the wrist support. Is this product applicable for left handed bowler also? Yes, you can use it for both right or left hand. I need somthing that will support my wrist is this the Equalizer or this product the best solution? This would be great for your wrist. 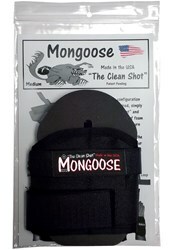 Due to the time it takes to produce the Mongoose Clean Shot Wrist Support ball it will ship in immediately. We cannot ship this ball outside the United States.